Dr. Mohammed A. 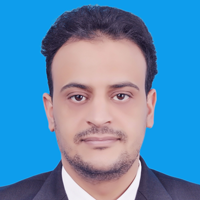 A. Al-qaness is currently assistant professor in Wuhan University, International School of Software. He received PhD in information and communication engineering from Wuhan University of Technology. His research interests include wireless computing, wireless sensing, machine learning and natural language processing. He has published over 10 articles in journals and conferences including SCI and EI journals. Moreover, he is an expert reviewer for more than 4 high quality international journals.